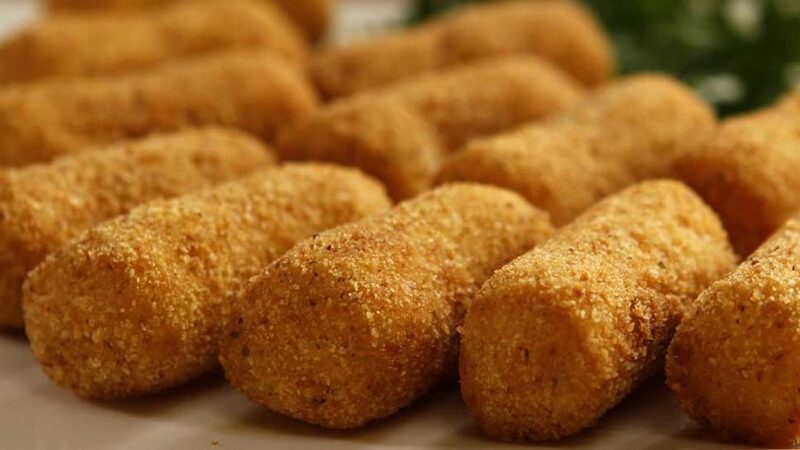 The French word “Croquette” means “To crunch” and croquettes are usually small cylindrical shaped food rolls that are coated in breadcrumbs and deep fried. These croquettes are fluffy and buttery on the inside with a slight crunch on the outside making them irresistible. Used as a side dish, there is no need to add any other ingredients, it’s the simplicity that makes these little puffs of joy incredible. 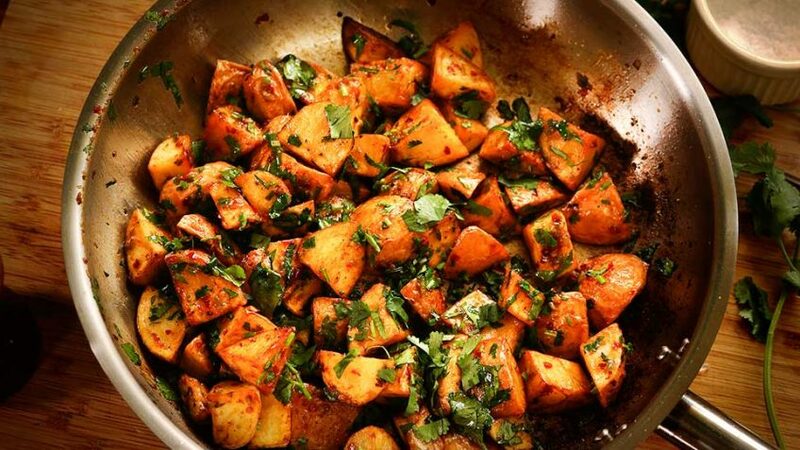 The key is to use potatoes that don’t contain much water, the ones you would buy for frying. I like to bake mine in the oven for total dryness, but they also work in the microwave if you’re in a hurry. 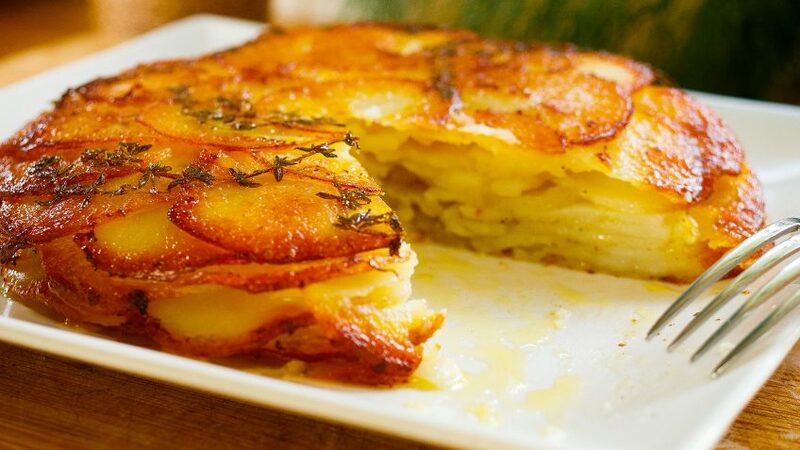 If you have leftover mash or baked potatoes, use those, it’s a great way to recycle leftovers into a new creation. Use real butter for that great flavour and make them part of your next meal. Scoop out the flesh leaving the skin behind and place flesh in a mixing bowl. 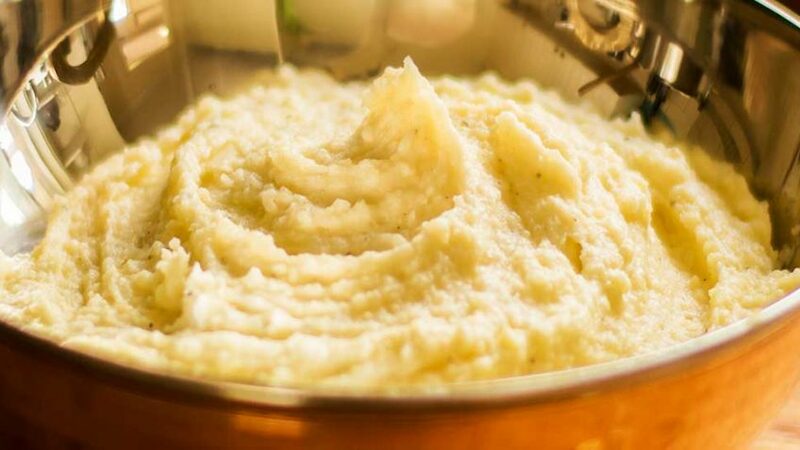 Using a masher, mash potato until smooth. Cut up the butter and add to the potato along with grated nutmeg, salt and pepper. Mix well. Place in pipping bag and extrude into long strips. If you don’t have a pipping bag, you can roll them into balls or snake shapes on work bench. Cover and refrigerate for 30 minutes. Make them in advance, even the day before and cook them just before eating for that fresh crunchy texture. Once crumbed, give them another light roll on your work bench for that smoother shape. Refrigerating after crumbing for another 30 minutes will make them easier to handle and less likely to fall apart. 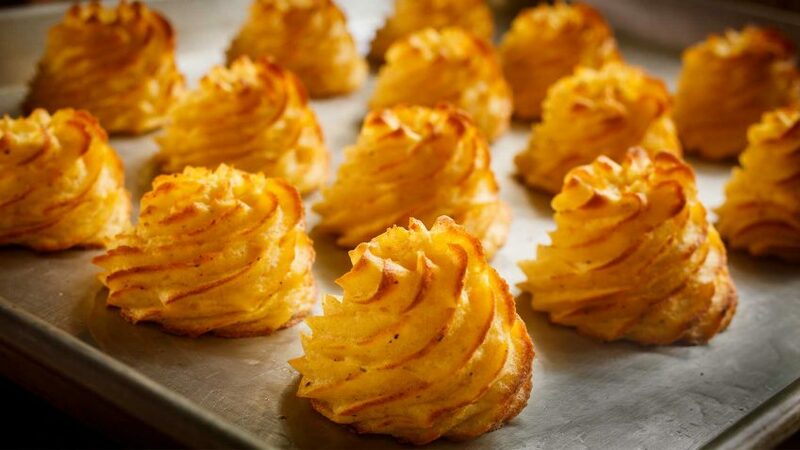 Buy a good frying potato with less water content. Water is the enemy of croquette, if you find your mash is a little soft, dry it in the microwave. 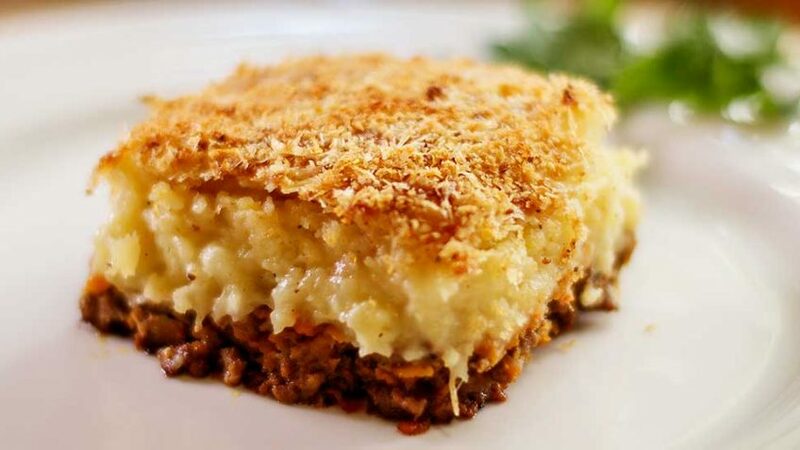 Add some grated Parmesan and a little garlic and parsley and you have a great appetizer or serve as a starter with a salad.